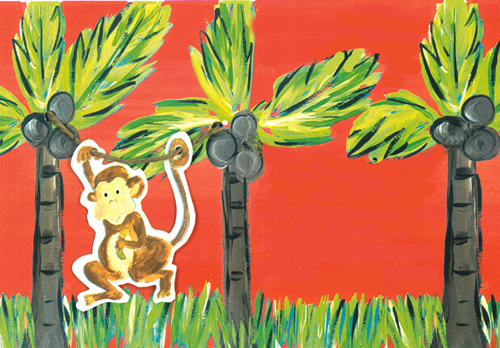 Adorable coordinating thank you notes feature a swinging monkey just like on the matching Jungle Monkey invitation! 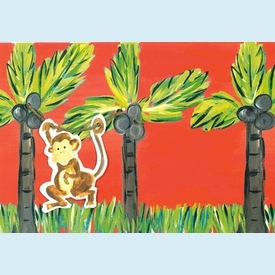 Fun for your little monkeys to write their thank you notes. Some assembly required to string the diecut monkeys on the notes. NOTE: Only 1 box left!